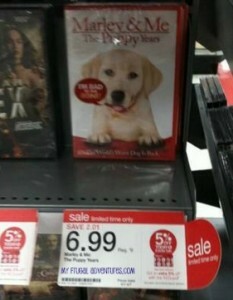 $3.99 for Marley & Me DVD! Click here for coupon. This would make a cute Easter basket addition! Thanks for deal and photo, My Frugal Adventures!